There were 351 residential fires last year in Seattle. That means that nearly every day, a home was damaged or lost. Even more frequently in Western Washington, Red Cross volunteers provided help to families who had lost their homes to devastating fires. The vast majority of these house fires were cooking related — a burner left on, a pan unattended on the stove — and in many cases, there was no working smoke alarm. The American Red Cross wants to change that, starting this month. 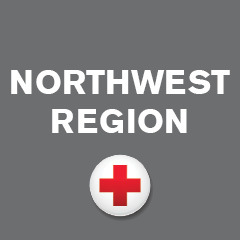 As part of the 2014 Home Fire Preparedness Campaign, the Red Cross is partnering with the Seattle Fire Department to install smoke alarms in Seattle homes. Starting in neighborhoods at highest risk, Seattle firefighters will go door-to-door, checking and installing smoke alarms and offering fire safety information to residents. Flyers distributed in the days ahead will announce the time and date of the visits. Fire can spread surprisingly fast. Smoke alarms give residents a chance to respond to a fire by extinguishing it if it hasn’t spread, or evacuating to a safe place to call 911. A working smoke alarm doubles an individual’s chances of surviving a fire. Early warning of a fire can also reduce loss of property and fire damage to the home. So why doesn’t every home have working smoke alarms? “People are busy and don’t think about it,” says Bill Mace, Education and Outreach Coordinator for the Seattle Fire Department. “Maybe they’ve never had a fire, so it’s not a priority. They don’t realize how important it is to have a working smoke alarm. They think they’ll smell the smoke or their pet will alert them.” Too often, this is not the case. Six people die in house fires every day in the U.S.
Prevention is a big part of the Red Cross mission. Each year, more than 9 million Americans participate in Red Cross emergency preparedness training programs, including first responders, educators, and others who want to be prepared to help others in an emergency. With the 2014 Home Fire Preparedness Campaign, the Red Cross is bringing preparedness home to prevent fire deaths and injuries, with the goal of visiting 325,000 homes every year. Learn more about what you can do to reduce the risk of a fire in your home by visiting the Red Cross website.